Happy New Year! It’s the coldest, darkest time of the year here in New England. Winter brings much-needed downtime from things like gardening and weeding. While January always seems to be the LONGEST month of the year, it’s still nice to hunker down next to a warm fireplace, watch a good movie or two, and knit! 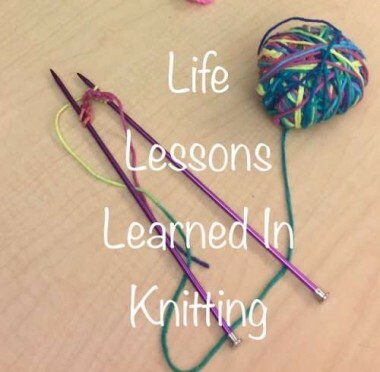 While I’ve been a professional instructor, teaching knitting classes for over ten years, knitting itself has taught me some good LIFE LESSONS.